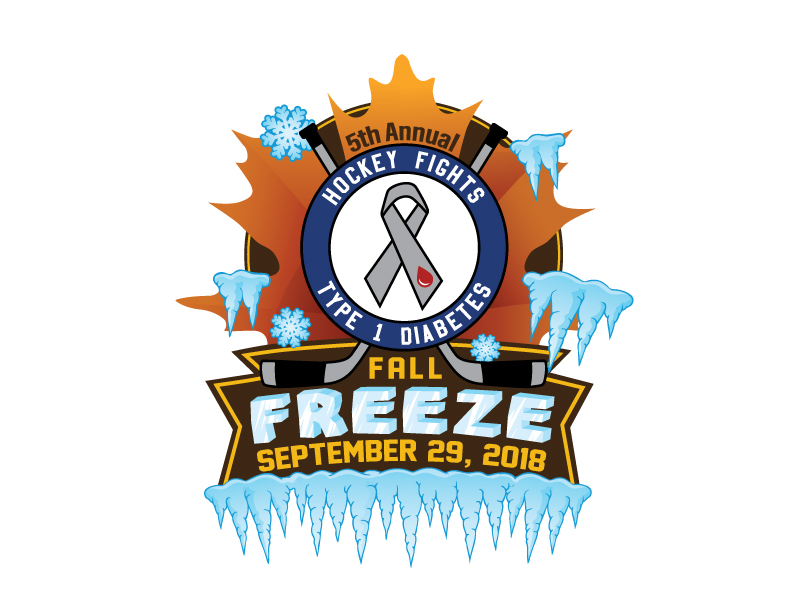 The 5th Annual Hockey Fights T1D Fall Freeze presented by Mountainside Medical Equipment will be held on Saturday September 29th, 2018 from 12 – 4 pm at the New Hartford Recreation Center at 4 Mill St New Hartford, NY 13413. This is a family friendly draft style fundraising hockey event for players of all skill levels from beginner to advanced. Premium jersey orders will need to be made by 7/28/2018 for them to arrive on time for the event. Premium jersey can be ordered here. We have a few new things to help celebrate our 5th year. Fundraise with us and win free entry into next years event! Register to fundraise at the link below with us and raise $100 and you will get free entry into next years (2019) Fall Freeze. We have also added a skills challenge to this years event. The 4 events will be hardest shot, accuracy, puck control, and rapid fire. Hardest Shot: Each player gets 3 chances to register the hardest shot on the radar gun. Accuracy: Each player gets 6 pucks to hit 4 targets. Puck Control: Players navigate an obstacle course while maintaining control of the puck. Rapid Fire: Goalies make as many saves as they can while 2 shooters fire 4 pucks each for a total of 8 shots. This year you will also be able to decline receiving a jersey (for those that already have them from past years) and donate the cost of the jersey to our fundraising efforts. No discount will be given on the price of the registration for declining a jersey but you will help us get closer to our fundraising goal by doing so.